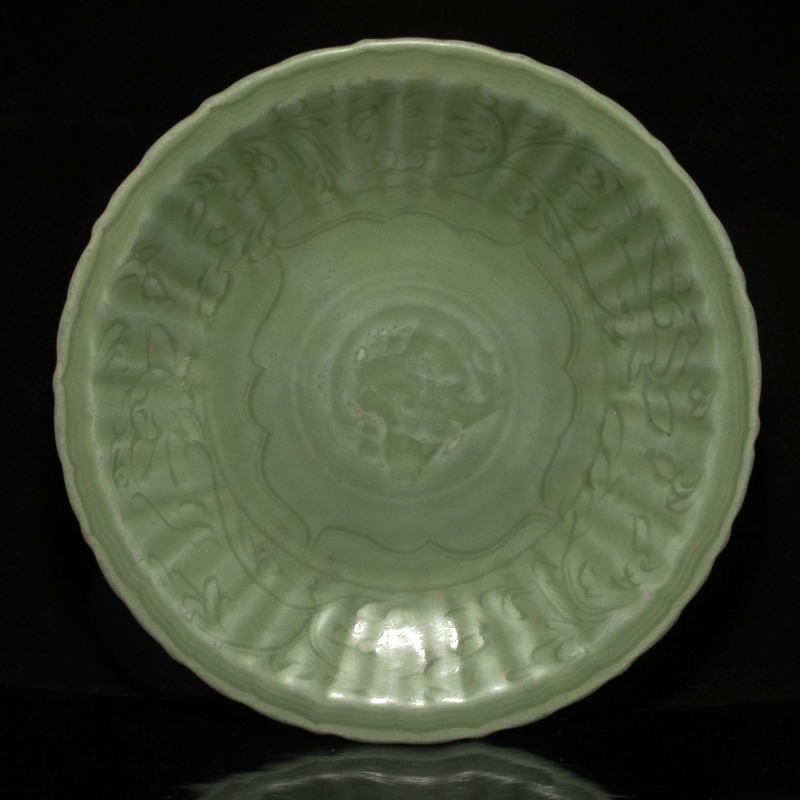 In terms of design and artistic execution, this beautiful Longquan celadon charger is solidly early Ming; its barbed rim, decorated cavetto, incised decorations, and fluted panel to central field are all very typical of late 14th / early 15th century chargers. 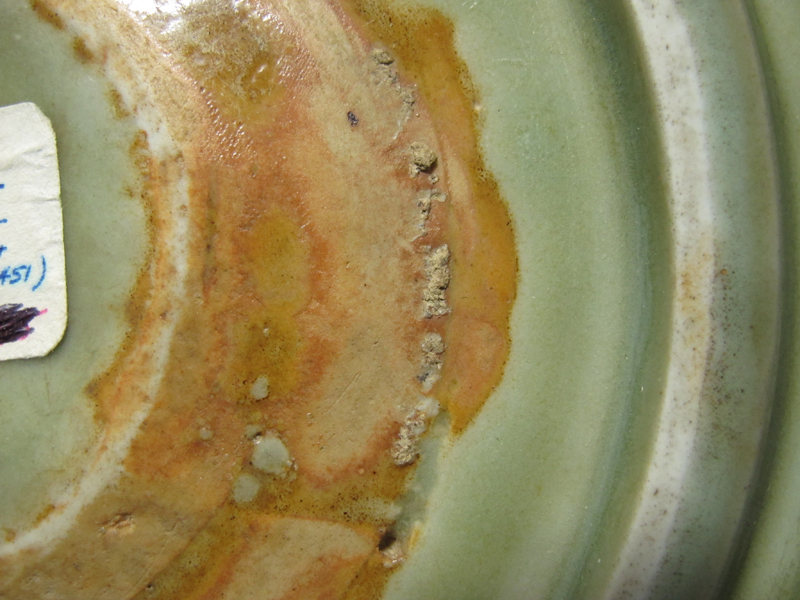 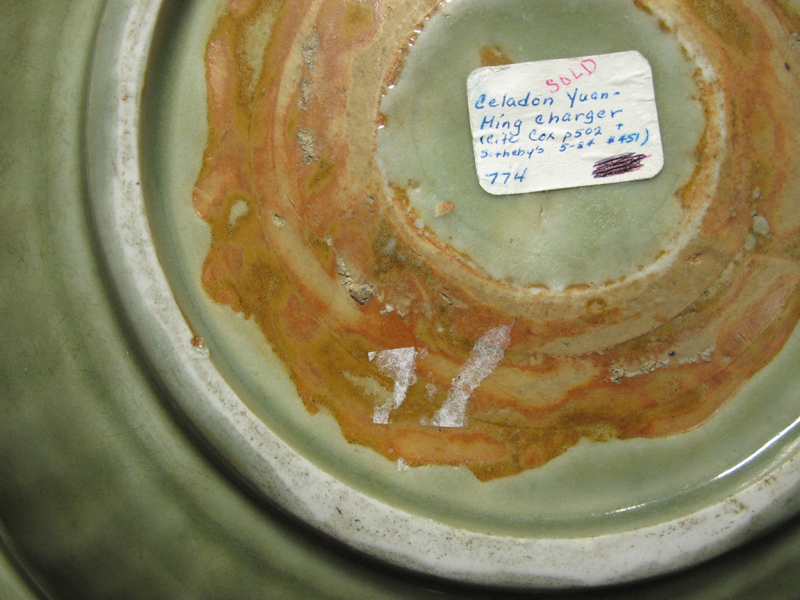 Its paste and glaze is also closer in quality to Yuan Longquan wares than later Ming pieces with their crackled glaze and gray body. 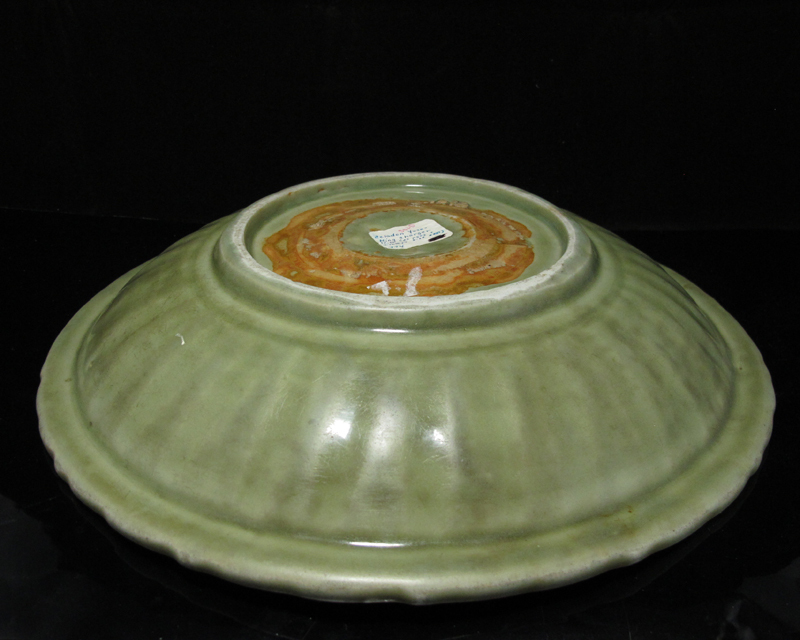 Comes with a Japanese wood box (much later matched). 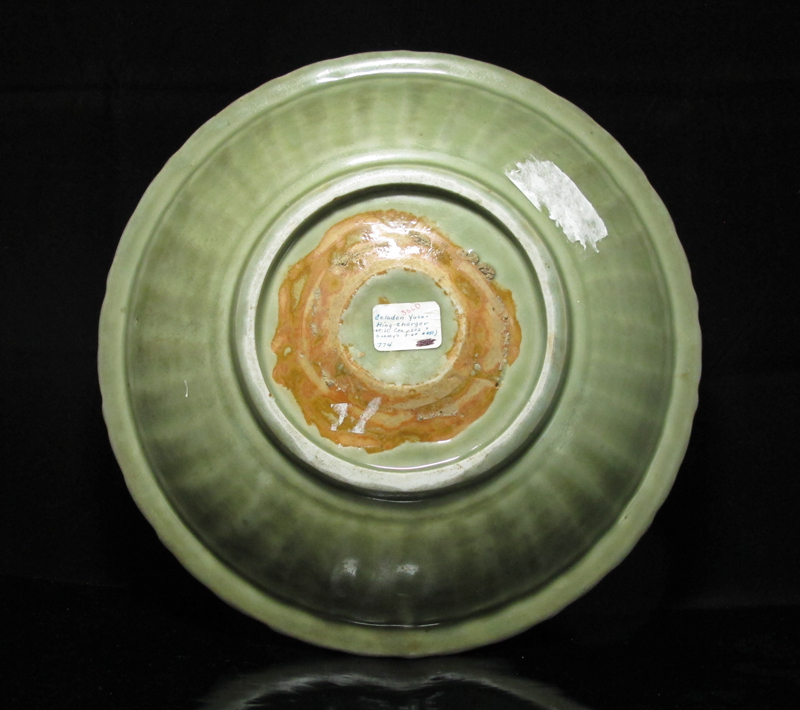 An interesting note about the provenance: this charger comes from the collection of an interior designer who had once been a friend and confidant to Madame Chiang Kai Shek during her late years in New York.